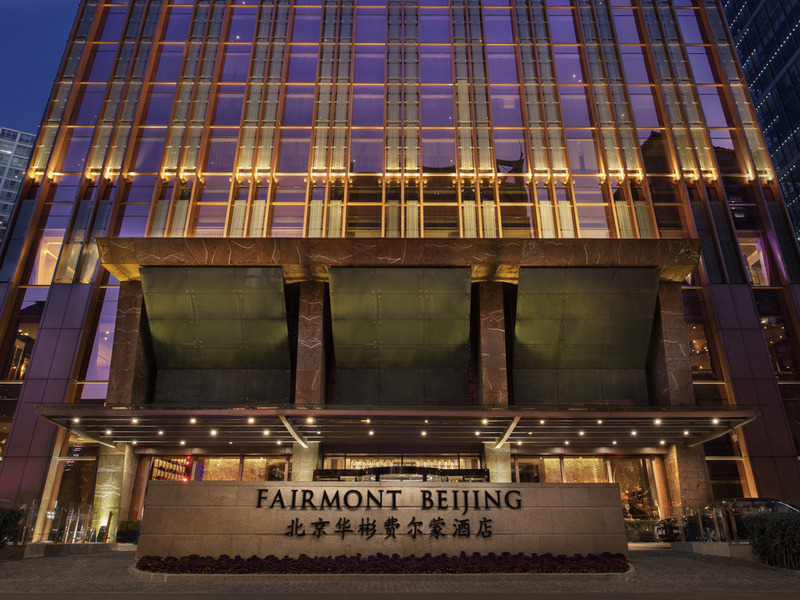 Fairmont Beijing brings unprecedented luxury and hospitality offering guests a distinctive stay right in the heart of Chinas modern Capital Business Center. Beijing, the beaming capital of China, is rich with tourist attractions such as Wangfujing Street, the Forbidden City and Tiananmen Square. Stay in comfort as each of our 222 rooms and suites offer top quality amenities, unique architecture and superlative decor. Dine at one of our many restaurants and bistros. The hotel is less than 300 meters from Beijing's famous Silk Market, and a short stroll from major international-grade shopping mall, The Place. Convenient transport to iconic historic landmarks: the Forbidden City, Tiananmen Square, and Temple of Heaven. Every one of our superbly appointed guest rooms offers the finest of amenities and comforts, accompanied by engaging, personalized service levels that go beyond five-star expectations. Lunar 8 offers authentic Beijing flavors including wood-roasted Peking duck, a myriad of other traditional Beijing dishes and classic stir-fry wok mainstays. The Cut engages diners with a constant buzz of activity with its open kitchen offering a front-row seat for the curious and culinary-minded guest. Champagne Bar is a glowing venue featuring fine Champagnes, wines, rare spirits, and divine cocktails that span our broad selection of iconic classics from around the globe to locally inspired cocktails creations. The Fairmont Beijing's Lobby Lounge is the ever-perfect 'anytime' destination. Enjoy snacks and light meals throughout the day and sample teas from around China, all whilst basking in the day-lit lobby's glow. Checkin gick fort, uppgraderad som platinum en nivå. Ingen välkomst gåva missade 2 av 3 turn down service. Frukost i matsalen bra men inte exceptionell. Guldloungen ok utbud av mat och dryck. Happy hour var lång från 17 till 2030 det är ovanligt! Jag tycker att det är ett mycket bra hotell med en väldigt proffesionell och duktig personal. Det sistnämnda gäller inte minst en lång stilig man som arbetar i receptionen och som på ett snabbt och vänligt sätt löste mina problem.